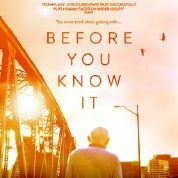 The subjects of the film BEFORE YOU KNOW IT are no ordinary senior citizens. They are go-go booted bar-hoppers, love struck activists, troublemaking baton twirlers, late night Internet cruisers, seasoned renegades and bold adventurers. They are also among the estimated 2.4 million lesbian, gay and bisexual Americans over the age of 55 in the United States, many of whom face heightened levels of discrimination, neglect and exclusion. But BEFORE is not a film about cold statistics and gloomy realities, it’s a film about generational trailblazers who have surmounted prejudice and defied expectation to form communities of strength, renewal and camaraderie –whether these communities be affable senior living facilities, lively activist enclaves or wacky queer bars brimming with glittered trinkets and colorful drag queens. Ty is an impassioned LGBT activist who hears nothing but wedding bells once gay marriage passes in New York. Robert “The Mouth” is a feisty bar owner who presses on when his neighborhood institution comes under threat. 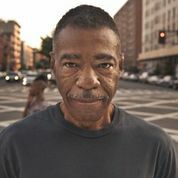 Born before the Civil Rights era, these men have witnessed unbelievable change in their lifetimes, from the Stonewall Riots and gay liberation, to the HIV/AIDS pandemic and Queer Nation, to gay marriage and Lady Gaga, and have lived to become part of an unprecedented “out” elder generation. 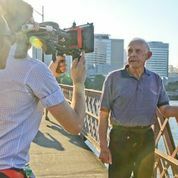 Before focuses on the lives of these three gay seniors, but reminds us that while LGBT elders face a specific set of issues, aging and its challenges are universal. An affirmation of life and human resilience told with a refreshing humor and candor, Before confirms that you are never too old to reshape society. Documentary, 110 mins., Directed by PJ Raval, 2013, U.S.A.
BEFORE YOU KNOW IT theatrical trailer from OUTsider Festival on Vimeo.